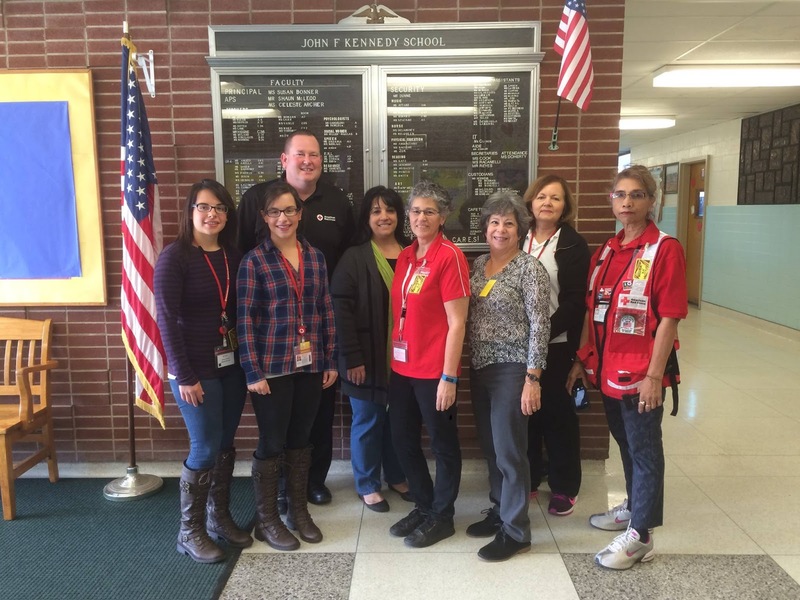 Red Cross on Long Island teaching emergency preparedness to JFK Intermediate School in Deer Park. Over the last 7 days, the Greater New York Red Cross provided emergency assistance to 68 adults and 32 children following 51 local disasters. Here are some highlights from last week and a preview of upcoming activities (see below). For the last 10 days, the American Red Cross has been counting down to Giving Tuesday by sharing stories with #GiveWithMeaning. On Thanksgiving Day, as part of Daily News' "Voice of the People" column and in the Brooklyn Eagle, Greater New York CEO Josh Lockwood thanked volunteers, staff and supporters by saying "I want to extend my deepest gratitude to the incredible people who fulfill the mission of the Red Cross." In keeping with the holiday spirit, we wanted to take a moment to recognize some our volunteers who will be spending part of their holiday giving back like Vincent Stephens from Staten Island. On the eve of Thanksgiving Day, a two-building fire destroyed 16 apartments in Ossining (Westchester County). The Red Cross was able to provide food, clothes, transportation and emergency housing to some of those families affected. On Tuesday, Community Relations Manager Denise Bloise met with Brooklyn Assembly Member Helene Weinstein to provide an update on local Red Cross emergency responses in her district as well as information on emergency preparedness programs available to her constituents. On Monday, we posted a photo from a prior Long Island Pillowcase Project event that taught emergency preparedness to over 122 students at JFK Intermediate School in Deer Park. Early last week, our Restoring Family Links team participated in "A Family Resource Day" sponsored by city officials and agencies to assist immigrants with services. Dec 1: Now in its fourth year, #GivingTuesday is a global day of giving fueled by the power of social media and collaboration. Please support the lifesaving mission of the Red Cross.